My darling friend Nancy B shared this almond cake recipe with me in December and I've been making it about once a month since. Daggumit. We all need influences like this right? Actually. I think my bum needs less friends like this. As far as cakes go, this one has been the best nut cake I have ever had for being super consistent in the finished product and perfectly rich and moist. I'm not a big fan of dry cake and this one has never failed me. Tomorrow I'll be visiting my darlings down at channel 3 for a summer dessert segment and this is one of the goodies I'll be making on air. Actually, I'll be grilling wedges of it on a grill pan and serving it up with fresh fruit and whip cream. It is the perfect consistency for grilled pound cake! For the segment I'll be omitting the crumb topping since it burns on the grill, but for this blog post, it is a must. Try this recipe darlings. You'll never want for another recipe for perfect nut cake again. By the way, the nut flour matters. I'm using a fine ground version available here. 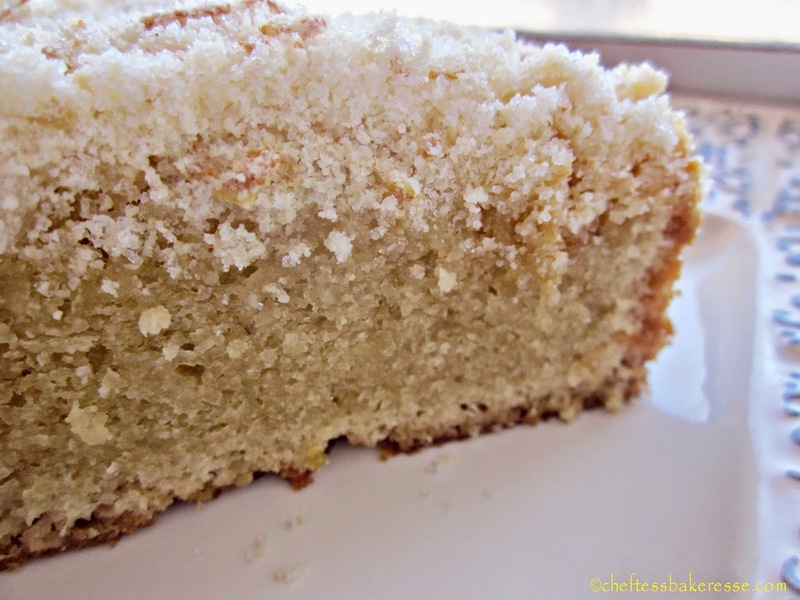 It really makes a big difference in the consistency of the nut cake. I also use all purpose flour but if you are gluten-free you can use my favorite gluten-free flour blend. It is a cup-to-cup ratio in baking so it is an easy replacement. Add the wet mixture to the flour mixture and stir well. Pour into a greased 9 inch cake pan lined with parchment paper. 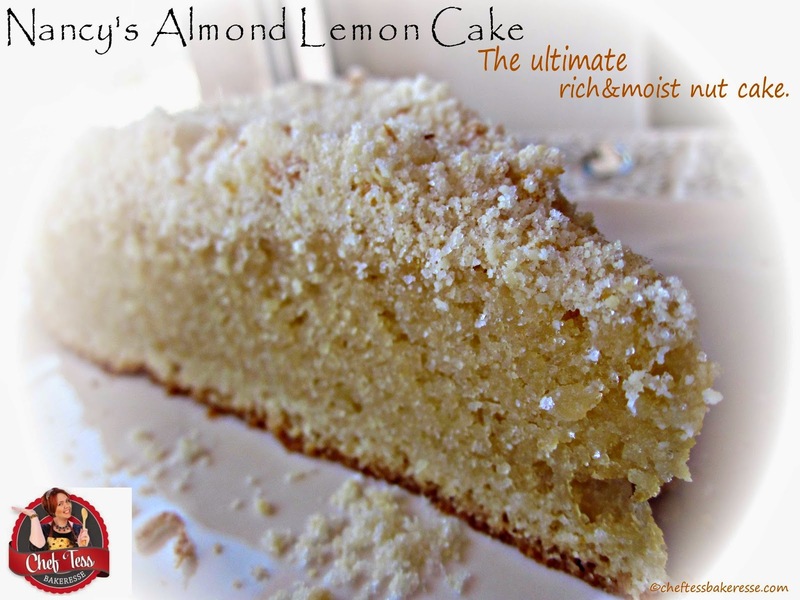 Sprinkle the almonds over the top of the cake evenly. Sprinkle with sugar mixture. Bake 55-60 minutes. Let the cake cool in the pan on a wire rack about 15 minutes. Run a knife around the sides of the cake. Invert on a plate. Remove parchment paper. Let cake cool 2 hours and serve in wedges. Wrap. Will remain moist and delicious for several days. I need to try this GF for some people that are GF, DF. I need to try this for some GF folks.